One of the many advantages of choosing Hardwood Floor Depot for your hardwood flooring needs, is our high quality, fast speed, and low-cost shipping services. From the beginning, we understand how important shipping services are for internet sales. We strive to provide fast shipping services that are hassle free and damage free. In our shipping policy below, we address the issues that are of concern to our customers. Most of our products are stocked at the many partner mills across the country and these products ship quickly. Once an order has been placed for an in-stock item, Hardwood Floor Depot tries to have it on the truck in 1-2 days from date payment is processed. In some cases, Hardwood Floor Depot, can ship out the same day. Transit time for in state orders are usually one day and for locations a couple states away, 2-3 days. Beyond a few states in distance, it typically takes 3 shipping days and for the west coast expect anywhere from 3-5 days. Your sales representative can clarify approximate shipping times. Hardwood Floor Depot does everything it can within our power to see that your flooring arrives to your home in factory new condition, free of any amount of shipping damage. 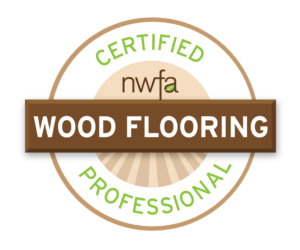 However, our over 98% success rate of no damage does mean that just less than 2% of our customers will receive flooring that was damaged to some degree during shipping. Usually, shipping damage happens when flooring is transferred from one truck to another by forklift at the freight companies’ different terminals across the country. Often when boxes are damaged there is no damage to the actual flooring itself. Some damage to tongues and ends of boards for unfinished flooring is not a basis for refusal to receive the order. Damage to some of the product or visual defects does not constitute a basis for rejection of the whole order. There has already been a shipping cost that has incurred to ship the floor to you which will double if the material is rejected. Rather, accept the shipment and make note of the problem on the Delivery Receipt and we will replace the problem flooring efficiently. Call your sales representative and they can review with you everything regarding the situation and we will handle it from there. If the order is sent back without agreement from Hardwood Floor Depot, you agree to pay shipping both ways and the restocking fee at the mill. The whole order is not to be rejected for just a part of it. Hardwood Floor Depot does and will back up what we sell. The Delivery Receipt is part of our contract with the freight company. Be sure to note the number of bundles or boxes that arrive on the delivery receipt. If there is any damage to the boxes or bundles, just write “Damaged” with a brief description of the damage on the delivery receipt BEFORE you sign it and release the driver. If you notice damage while still on the truck, be sure to take pictures before unloading. If damaged after unloading, please take pictures then as well. Again, we have found there is only a damage rate for all our shipments of less than 2%. This is a very unusual occurrence and we want you to be best informed and prepared. If this does happen don’t forget to take before and after pictures if there is any damage. Hardwood Floor Depot warrants the materials for installation of the floor Hardwood Floor Depot sold and/or installed only. Be ready for the shipment with a helper a few helpers. Flooring is packaged in bundles or boxes and you are required to unload the truck. If you have paid for lift gate service, which is an additional cost dependent on the amount you ordered, the material will be unloaded curbside. The driver does not move boxes beyond what he lowers down using the lift gate. Drivers will not bring the flooring inside your home as it’s a against their shipping companies policies for insurance reasons. Upon arrival, your flooring order should be inspected in two ways. 1) Be sure that the correct number of boxes or bundles were delivered as ordered. 2) Check for any possible shipping damage and note on delivery receipt as well as take pictures. If you feel that there is a shortage of flooring, please note on the delivery receipt the number of bundles or boxes that are missing and contact Hardwood Floor Depot immediately. Hardwood Floor Depot will accept returns of merchandise within 30 days of receipt and with return approval from a Hardwood Floor Depot employee. The customer may incur a restocking fee from the mill and is liable for shipping costs both ways. Returned merchandise must be in original packaging and customer must palletize when necessary. Special orders may not be returnable. If you chose to cancel an order, please do so before the items are shipped to you. Once these products are put on a truck and shipped there are costs that must be passed along to the customer. Allow 3-5 business days for the bank to fund your account. If paid by Square, allow 2-3 business days for refund. The exclusive venue of any and all claims, demands and/or causes of action arising out of or relating to the manufacture, distribution, sale, installation, repair or modification of our products (“Claims”) shall be the state or federal court sitting in Pasco County, Florida. The purchaser consents to the jurisdiction of the Florida courts for Claims. In any civil actions concerning the Claims, purchaser agrees to pay the attorney’s fees and costs Hardwood Floor Depot incurs in connection with such civil action in the event the litigant loses. Purchaser willingly and voluntarily waives a jury trial on claims. We accept Visa, MasterCard, Discover, American Express, Personal Checks, Company Checks, Certified Checks, and Money Orders. Please allow 1-7 days processing for personal and company checks to clear thru the bank before shipping out of material. Hardwood Floor Depot respects the privacy of those who use our website which is found at hardwoodfloordepot.com. This applies to information you may supply to us on our website. Information you provide is used to answer your questions, process a purchase transaction, and to ship products. Our website uses analytic technologies to track pages used and the amount of time per page, basic information that enables Google to generate reports to us about customer usage of our site. Our website does not use technology (including our mobile site) to determine your location. We do not contract with third parties to put ads in front of you when you are away from our site. There is no need for you to use a web browser to block our site from tracking you. We do not use a third party to contact you or follow you in any form except as an email service to send an email ad to those who volunteered their email address. Email recipients can unsubscribe at any time. We do not rent or sell your information to third parties. We only disclose information to our government if they demand it.